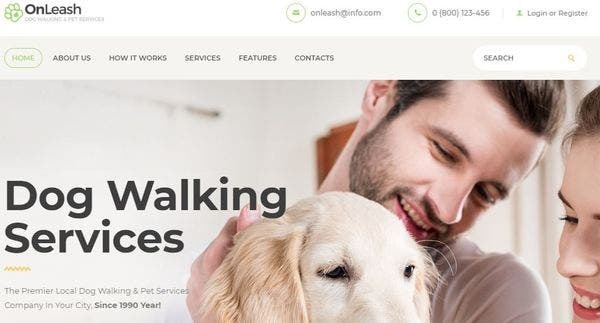 OnLeash is the best WordPress theme for your dog-walking service’s website. Get your website designed with the best visual impact, with a retina ready template and cross-browser compatibility. Manage your client appointments, schedules, and payments through full WooCommerce support. Get OnLeash to make the perfect website for your dog walking services. 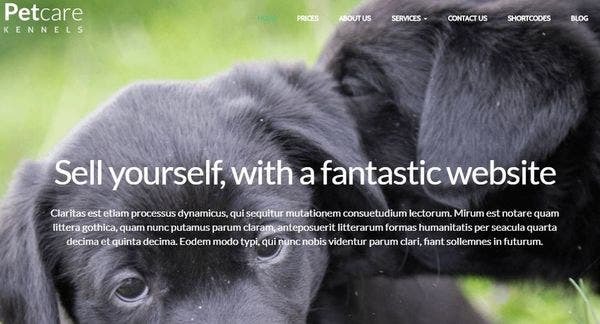 Four Paws is a fast and responsive WordPress theme that is ideal for your dog-walker website and pet services business theme. Get this theme and take the full advantage of some amazing plugins like Jet Elements and free high-quality business images for your website. Its Mobile-first technology makes it suitable for small screens and has an amazing interface. The theme is fully documented and has 24/7 customer support for all your questions. Don’t miss this chance, download it now! 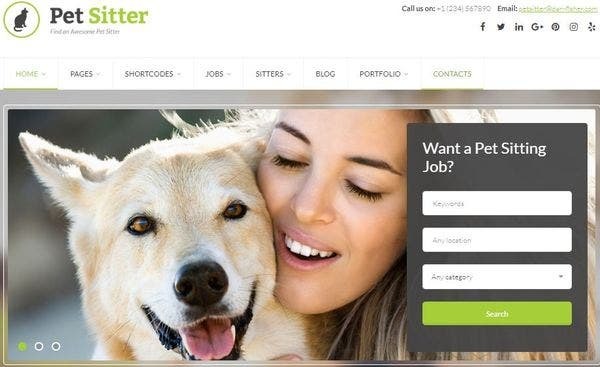 Pet Sitter is a modern WordPress theme for a dog walker to use for his website. Completely equipped with CSS3 and HTML5 support, it is a fast and responsive theme for a perfect website. With cross-browser compatibility, retina ready graphics and complete social media compatibility and WooCommerce integration, you can’t go wrong with this theme. 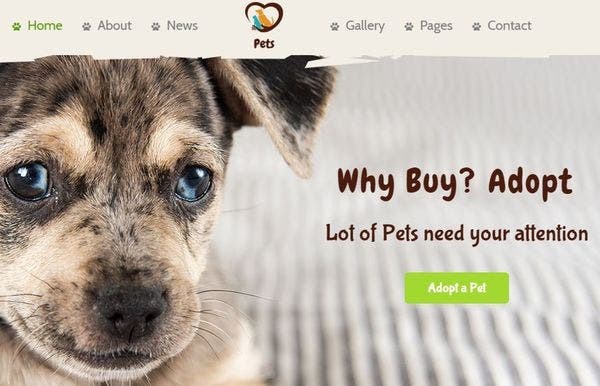 PetCenter animal WordPress theme is a brilliantly designed theme with a pet-friendly aesthetic and eye-catching page layouts. The Timetable plugin helps you to make online schedules and customize the events in a neat and clean timetable. The Cherry Sidebars plugin comes with custom sidebars that are lightweight and you can easily add them for free in your page layouts. Additionally, the Custom Widgets give you a more professional look to your displayed content. 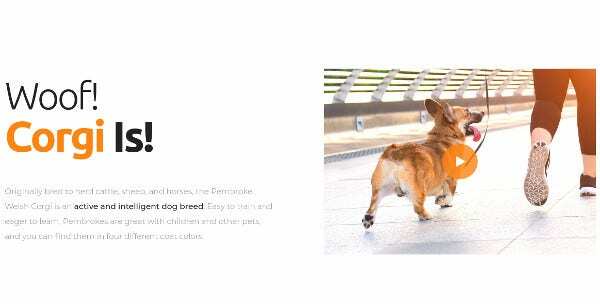 Welsh Corgi is an animal care WordPress theme specifically designed for breeders, pet lovers, animal service, adoption, animal treatment, and other service websites. It is WPBakery compatible and comes with a variety of popular plugins like Essential Grid and Revolution Slider. It is featured with 24/7 online support, one-click installation, and a modern design layout. 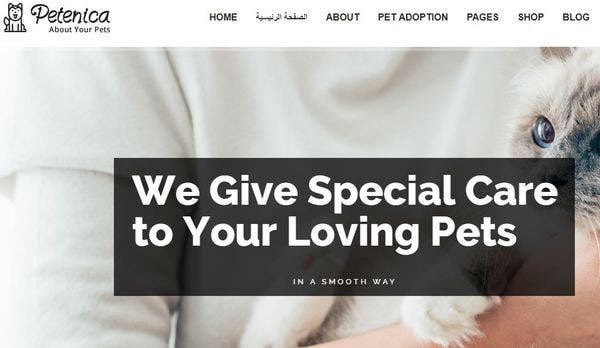 Anilove is a versatile and elegantly designed WordPress theme for animal lovers, pet adoption and pet service businesses and will give the right appeal for your dog-walking website. Choose from the wide range of layout options available in the theme and some of the best Cherry plugins available in the market. The Content Module includes buttons, price tables, sliders and images that suits best for your website. Get hold of the online store with the help of Ecwid-ready feature. Petenica is pet care WordPress theme for pet sitting, adoption, charity, ecommerce, and veterinary business website. The SEO optimized theme comes with 4 stunning homepage designs, 600+ Google fonts, unlimited colors, and child theme support. The theme is well documented and its Donation Form helps pet lovers to donate to the cause and support of pets. It is also equipped with crowdfunding features and Pet Adoption Management features. Pet Sitting is a multipurpose pet-care and service-based WordPress theme, perfect for someone who wants to design a fast responsive website for their dog walking service. Get creative with customizing stock content and graphics, and have the power of CSS3/HTML5 coding behind you. At an affordable cost, this them can get you the website you deserve. 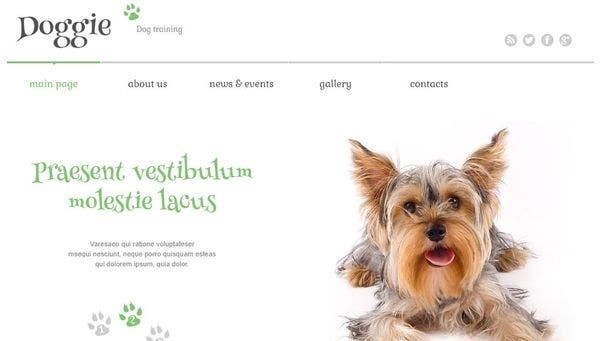 PetCare Dog Kennels Numbat is a fast-loading and responsive WordPress theme that can be used for your dog walking service website. It is loaded with Parallax background images loads of layouts and themes to choose from, Google web fonts, pre-defined shortcodes, and Drag & Drop page building feature. The theme can really make your website look great and it is completely SEO optimized. Furry is a multi-purpose WordPress theme for pet grooming, pet care, and veterinary. Additionally, you get round-the-clock customer support for all your queries and problems. You can choose from more than 500 readymade Google fonts to give that unique design to your website. It is based on some of the most modern and well-structured shortcodes that will help you to post your contents more easily and efficiently. Designed with dogs in mind, the aesthetic matches your needs perfectly. Get the Pet World WordPress theme for your dog-walking website and reel in more clients in no time. 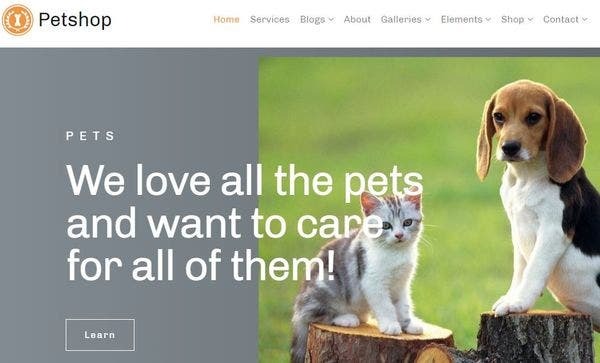 It is fast, responsive and designed with pet-lovers in mind – and their pets. 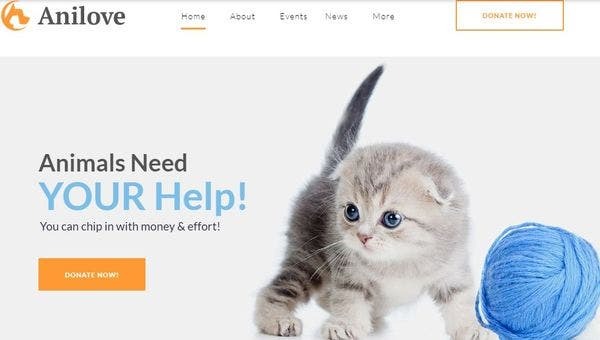 Complete with social media compatibility and WooCommerce and MailChimp integration, the Pet World template will allow you to manage your business, from clients and publicity to payments and accounts. 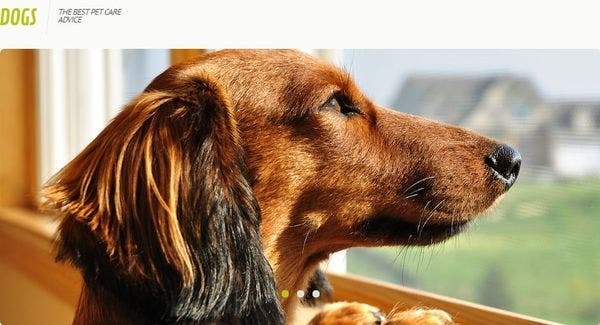 Dog is another great choice for your dog walking website, with 100% Responsive page layout and a fully editable settings menu bar. It has more than 80 shortcodes and has an advanced backup system as well. It is completely SEO-friendly and can get your website to show up early in Google and other searching websites. Get great customer support and built-in Theme Customizer which helps you to customize your homepages according to your need. Petapalozza is powered by Bootstrap and Redux option Framework and helps you to manage your website page without any prior knowledge of coding. The WordPress theme is WPML compatible, SEO optimized, WooCommerce ready theme and comes with some of the amazing Custom Elements like Slider, Highlights, Price Table, Client Logo, and testimonials. It is integrated with Contact Form 7 and the child theme is included in the package. 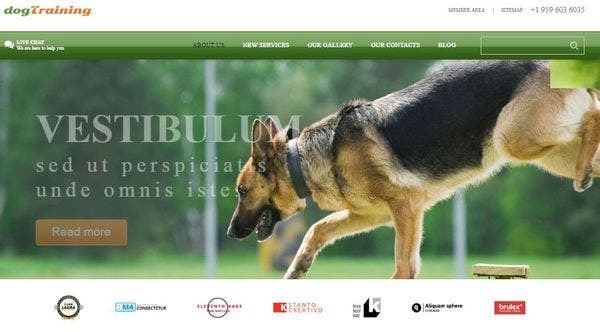 Dog may be designed primarily for pet stores, but it is a great theme to use for your dog-walking service website as well. It is based on Bootstrap Framework and works well in smartphones as well as desktops. It is fully social media compatible and is Search Engine ready. It is WPML integrated and the webpages can be translated into any language. Woof! 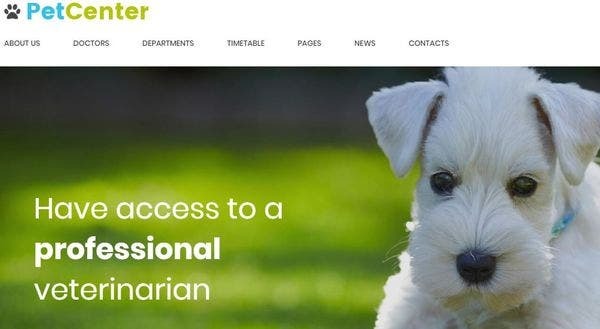 comes with a fully responsive template, with great graphics and a retina ready format, which can help you set up the perfect dog walking website. Take a look at the features – SEO optimized, CSS3 and HTML5 coding, full WooCommerce, and MailChimp integration and social media compatibility – and you’ll know why you need this theme. 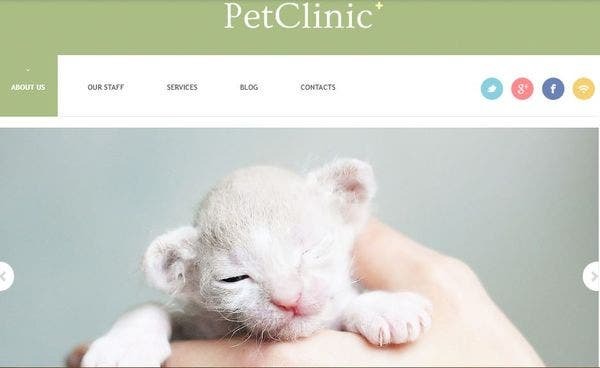 Successful Animals and Pets is a pet-caring as well as a veterinary WordPress theme. The responsive designs adapt to all screen spaces big or small. The WPML ready webpage helps you to adapt to all foreign languages within seconds. You can share your images with Fantastic Sliders and Custom Widgets. The webpage comes with multiple color options and a filterable portfolio as well. 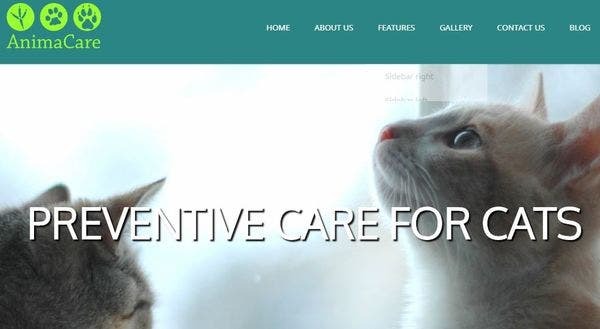 The LT Anicare WordPress theme is a fast-load, responsive WordPress theme for all kinds of animal care and service, and can do great for your dog-walker website. It is strongly built with CSS3 and HTML5 coding and is well worth the price. 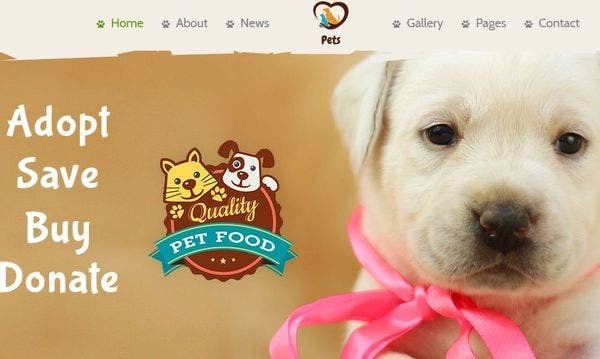 It comes with social media support, mobile-friendly interface, WooCommerce integration, and retina ready graphics make it an ideal website for your pet service business. 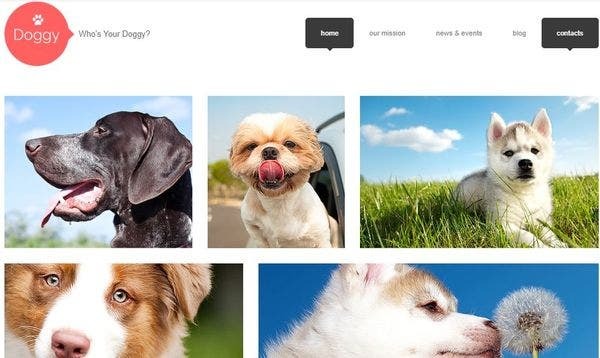 Dog is a minimalist WordPress theme whose scope extends well beyond just websites for dog trainers and pet lovers. 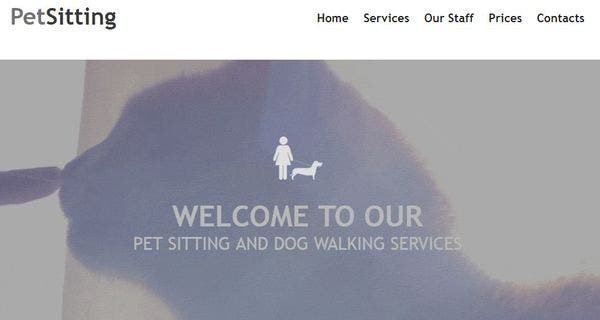 The design is perfect for a range of pet-care services, including dog walking. It is WMPL ready and the webpages can be converted into any language of your choice. It is SEO optimized and a fully responsive website. It comes with more than 80 shortcodes and a 2-step installation process makes the loading of the pages fast and interesting. Animacare is the one-stop solution for all your dog-walking website needs. 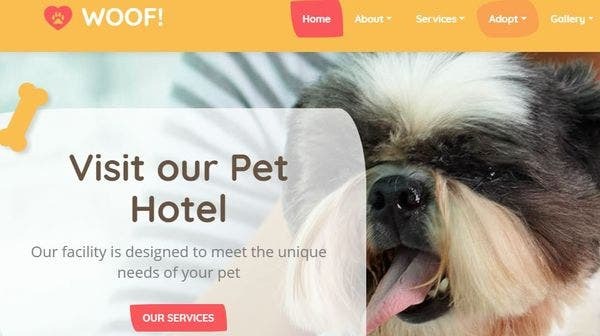 This responsive and retina ready WordPress theme is perfectly suited for all pet care services and super efficient with an interactive admin panel, sidebar manager and prominent call to action buttons on the home page. Throw in social media compatibility and WooCommerce support, and you’re ready to go! 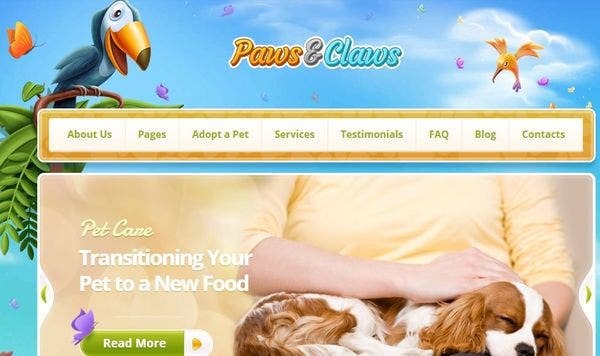 Paws & Claws is a super responsive and Retina-ready WordPress theme that can get you that perfect dog-walking website for your service. Affordable, easy-to-use, events calendar and fully SEO optimized, you can be sure it will put your business out there. Full social media compatibility and WooCommerce and MailChimp integration help too! Dog is a well-designed WordPress theme that is great for any pet-care websites, including your dog walker service. The theme is HTML supportive and the responsive design adapts to any screen size and shape. The Online Help Centre gives detail instruction on how to set up your webpage within minutes. You can also customize the theme with different graphics, fonts, styles and colors schemes of your choice. 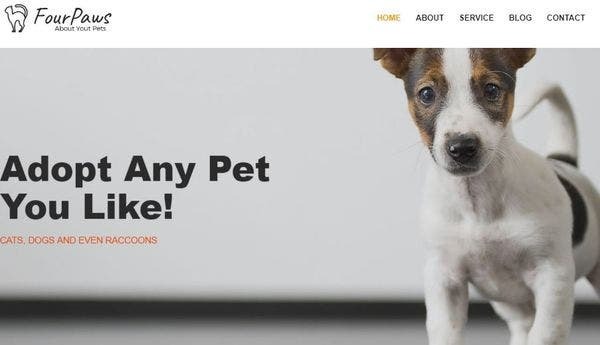 Petshop is a great choice for a stylish WordPress theme for your dog-walking services and lets you choose the layout of your website looks with a fully customizable homepage with more than 800 Google Fonts and automatic updates. It has Easy Shortcode Generator which helps you to set your pages without prior technical know-how. It comes with video tutorials and WPML integration which helps you to interact with foreign customers with equal ease. You are a dog lover and want to have an online website to promote your pet care business. Well, worry no more. 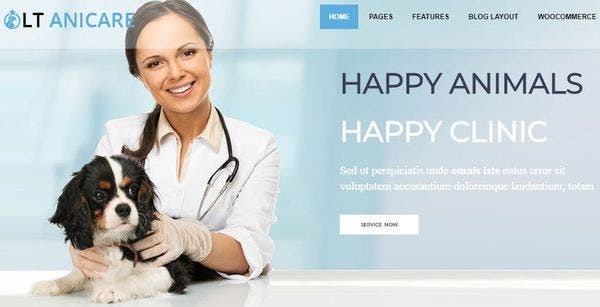 Our uniquely designed WordPress themes will help you represent your business and pet care services online within minutes.